India ranks third, just behind US and China, among 40 countries# with renewable energy focus, on back of strong focus by the government on promoting renewable energy and implementation of projects in a time bound manner. India’s power sector is one of the most diversified in the world; power generation range from conventional sources such as coal, lignite, natural gas, oil, hydro and nuclear power to renewable energy sources such as wind, solar, and agricultural and domestic waste. Being a critical component of infrastructure, power plays an important role in the economic growth and welfare of India. The demand for electricity is set rise exponentially in the years to come due to increase in population and industrial sector growth in the country. In order to meet the increasing demand for electricity in the country, massive addition to the installed generating capacity is required. Cumulative solar installations in India crossed the 7.5 gigawatt (GW) mark in May 2016, about 2.2 GW more than all of the solar installations in 2015, says IBEF. 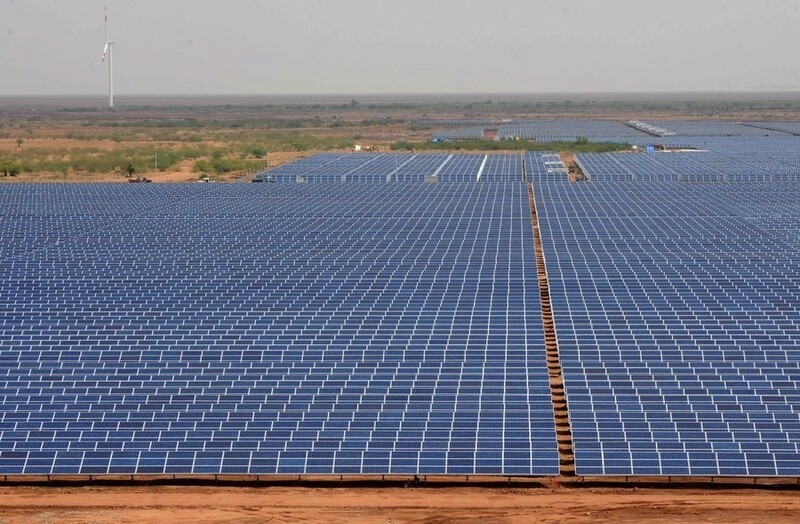 The Indian government is aiming to create 10 solar zones across the country by 2021, which will each cover an area of 10,000 hectares of wasteland. The ministry of renewable energy would extend an overall financial assistance of Rs44 crore for the solar zones. The solar zones will enable states to bring in significant investment from project developers, meet their Solar Renewable Purchase Obligation mandate and provide employment opportunities to local populations, according to the ministry. “The state will also reduce its carbon footprint by avoiding emissions equivalent to the solar zones’ installed capacity and generation. Further, the state will also avoid procuring expensive fossil fuels to power conventional power plants,” the ministry said. All states and union territories are eligible to take part in the scheme. The solar zones will be developed in collaboration with the state government and their agencies. State government’s wishing to participate must identify land with insolation of more than 4kWh/sqm and commission a techno-economic feasibility report. According to a letter sent to all states by the central government informing them of the scheme, the value of keeping solar projects in close proximity to avoid the added costs of smaller, spread-out systems in terms of site development, transmission losses, extra transmission infrastructure and procurement of water among other expenses. 25% for manufacturers of ingots, wafers, cells and modules as part of the ‘Make in India’ scheme. he state governments applying for the scheme will have to designate an agency for development of solar zones and also carry out a survey to identify land for such zones; the letter further says. After this, the central government’s Solar Energy Corporation of India (SECI) will work with states to finalise the zone, reports Livemint.